Love your Android apps? Fed up with them sneakily munching your data, giving you unexpected expenses and draining your precious battery? 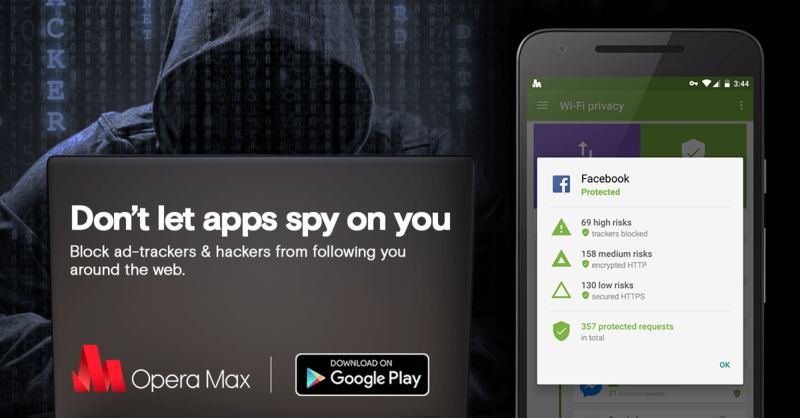 It’s time to take back control and show those apps who’s boss with Opera Max: the next generation of app management. 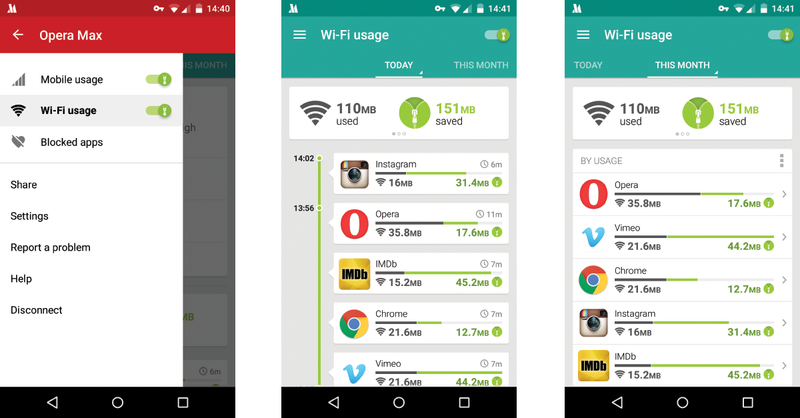 Opera Max uses a virtual private network (VPN) to measure all the data usage on your phone. Once you enable Opera Max savings, all non-encrypted data requests are sent through our compression servers to optimize video, images and websites to use less data. So, what does this mean for you? You’ll be able to see exactly how much data you use and, more importantly, how much data you’ve saved. Say “hello” to a whole, new level of data management! Did you know that 80% of data usage happens over Wi-Fi? 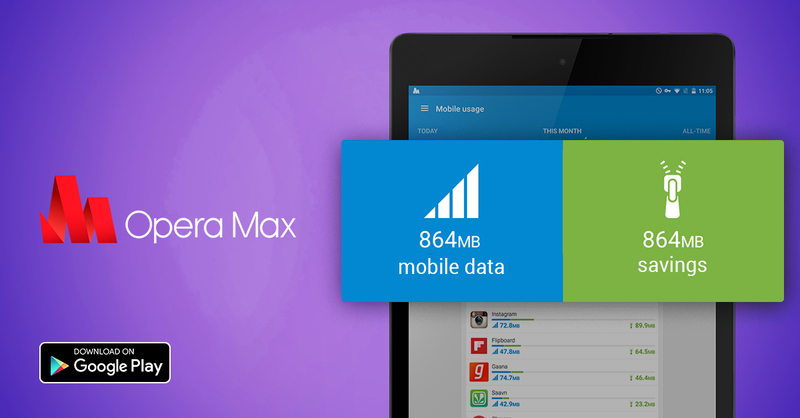 Now, you can set Opera Max to compress your app data even when you’re on Wi-Fi. When you sign on to the public Wi-Fi hotspot at the airport or your local café and find yourself competing with 150 other people, you’ve probably experienced that the connection is as slow as a turtle. This is when Opera Max can help you. Just activate the Wi-Fi Savings setting and Opera Max will get to work, compressing the data needed to run apps. 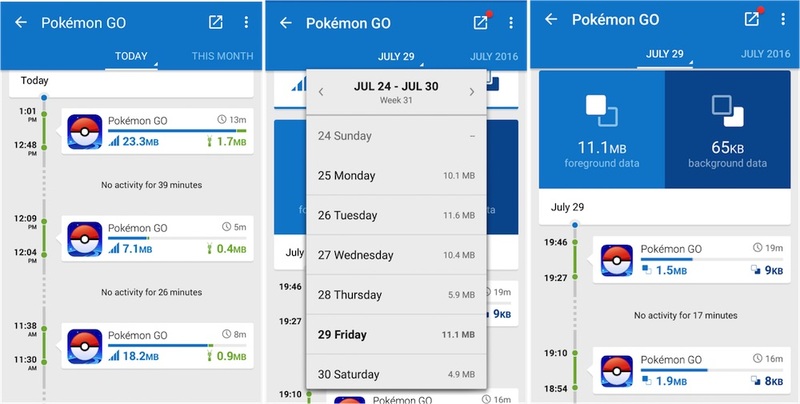 Now, you can easily see which apps are being the naughtiest when it comes to stealing your battery life and eating up your data. 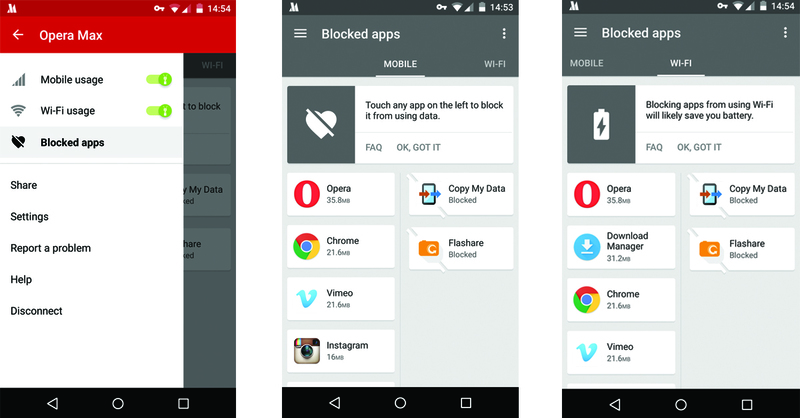 Opera Max will show you a breakdown of exactly which apps are affecting your device the most. From there, you have the power to control which apps you want running on your mobile network, or Wi-Fi only, or not at all! Also, with the new “Blocked apps” section , you can easily see which apps are the main culprits and block them, whenever you want, at the tap of your screen. If you’re already using Opera Max and have questions about how to get the new version, check out this handy article.